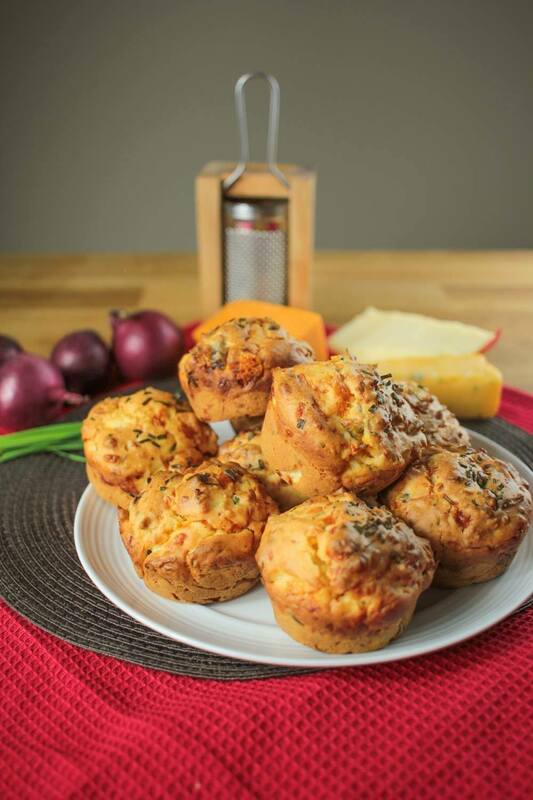 These cheesy muffins are exactly what you should make with any leftovers from your cheese board! They make a great snack, party food or breakfast treat. Preheat the oven to 220°C / 430°F / gas mark 7. Grease a 12 hole muffin tin. Sift the flour, baking powder and salt in to a bowl. Rub the butter into the mixture with your hands until it has mixed. Add the egg, milk and cheese and stir it all in with a wooden spoon. Add the onion and chives then give another stir. Divide the mixture into the tin and bake in the oven for 25 minutes. Serve on their own or with some of our red onion chutney. Enjoy!